The Archives of the Dittrick Medical History Center began in 1967 with the creation of a home for the records of the Cleveland Medical Library Association. The Archives continues to care for the papers of the CMLA and its Board of Trustees, but has expanded in scope to encompass the medical heritage of greater Cleveland and northeast Ohio. Its holdings include the papers of local medical societies and health care institutions, including medical schools, and hospitals. The papers of individual physicians and others in the health sciences professions are also found in the Archives. Follow the links in the right hand column for descriptions of our holdings in various catagories. All of this material is freely available for research and scholarship. 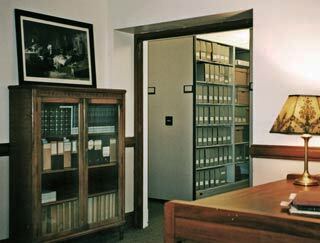 The archival records are not available online. Finding aids for individual collections will be posted on their appropriate subject page (see list on right) as they are completed.